New York (AFP) – Three US judges have rejected lawsuits demanding that chimpanzees be recognized as people with fundamental rights, an animal charity said Tuesday. 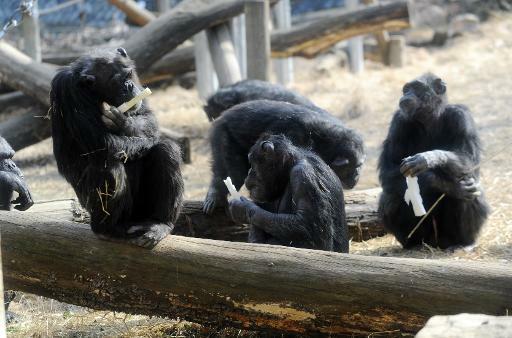 The Nonhuman Rights Project petitioned three courts in New York State in a bid to have the four chimpanzees moved to a sanctuary where they could live out the reminder of their days in freedom. It based its petitions on behalf of chimpanzees Tommy, Kiko, Hercules and Leo on the principle of habeas corpus, which in New York allowed slaves to establish their right to freedom. But all three judges threw out the applications on the grounds that habeas corpus does not apply to an animal. The charity says it will appeal the case. “The struggle to attain the personhood of such an extraordinarily cognitively complex nonhuman animal as a chimpanzee has barely begun,” said its president, Steven Wise. The organization says Tommy is held in a cage at a used trailer lot while 26-year-old Kiko is deaf and living in a private home. Hercules and Leo are owned by a research center and used in locomotion experiments on Long Island. Judge Joseph Sise of Fulton County Court said he would entertain a separate lawsuit seeking to right any wrongs to Tommy but could not consider him a person. “The court will not entertain the application, will not recognize a chimpanzee as a human or as a person who can seek a writ of habeas corpus,” he was quoted as saying by the charity. Two other judges threw out the petition on the same grounds. The Nonhuman Rights Project website has published biographies of the four chimps. It said the day it visited Tommy, the temperature in his shed was about 40 degrees below what it would be in his native land. As for Kiko, the group said he is partially or totally deaf because of abuse suffered on the set of a Tarzan movie before being acquired by his current owners.